Deep Silver and Nine Dots Studios have released the 2nd dev diary for upcoming action survival RPG Outward. This video focuses on the role of having a backpack in the game as well as the various explorable zones. Find the video below, alongside a description from Deep Silver. 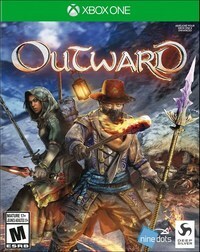 Outward will release on March 26, 2019 for PlayStation 4, Xbox One, and PC. In case you missed it, you can check out "The Human Side of Adventuring" dev diary.